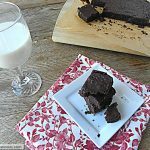 Dense Chocolate Brownies made with quinoa, sugar-free and in the crock pot! 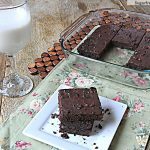 If you’ve never tried quinoa in a baked treat you’ll be in for a delicious surprise if you venture to make these brownies. 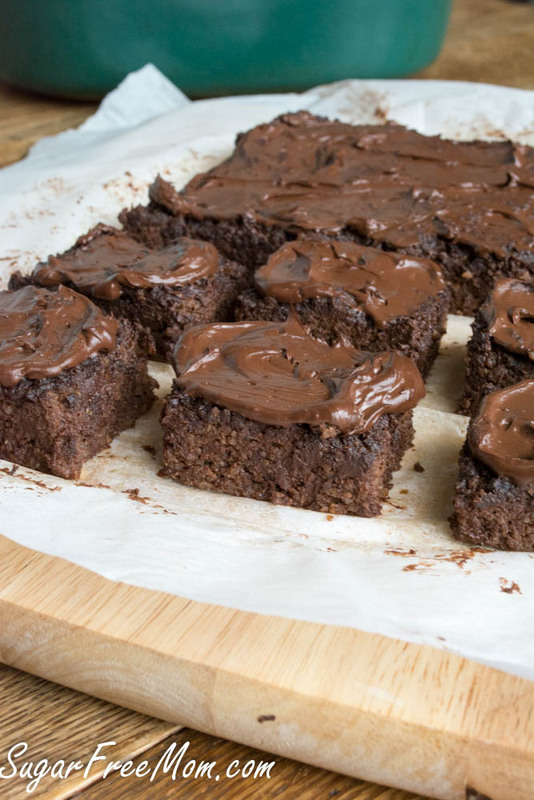 The quinoa replaces any flour needed to provide a nice, soft, dense “brownie”. Using your crock pot in the winter season is typical for many busy people. You prepare ahead and come home after a long day to the house filled with home cooked aromas like someone has been slaving at the stove all day. So nice right?! Using a crock pot in the warmer months is just as smart and equally as helpful. 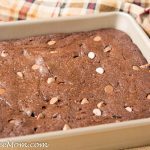 While I am an avid crock pot aficionado, I had never made a brownie or any cake like dessert in the crock before. I always stuck with the practical like, Overnight Cinnamon Crumble French Toast, Crock Pot Sugar Free Fudge, and Crock Pot Chicken Enchilada Soup. You can check out my Crock Pot tab on my Recipe Index for more wonderful recipes. 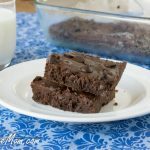 This brownie recipe has been on my mind and on my list FOREVER! My original recipe which was super popular was Cocoa Baked Quinoa Bars. 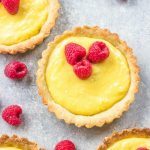 I adapted slightly for the recipe here and the results are pretty fantastic! Summer also brings us to vacations. In fact this week I’m in the Poconos of Pennsylvania with my entire family: Parents, 3 brothers, 2 sister in laws and between us and them 9 children! Last year we were in a house on a Lake in New Hampshire. To my surprise it wasn’t as scary as I thought it would be, no offense to my family but living all under one roof with so many different personalities can be challenging. The house was beautiful but the living space was a little on the tight side. Luckily my mom and I found a house in the Poconos with 7 bedrooms so everyone has there own space and it’s quite comfortable. The comforts of a home kitchen make for an enjoyable week ahead. I use Lily’s Brand of sugar-free chocolate chips made with stevia found at Whole Foods. Here’s my stevia conversion chart if you need to exchange liquids for powders. etc. To make 3 cups cooked quinoa, use 1 1/2 cups dry rinsed quinoa with 3 cups water. Cover and bring to a boil and boil for 12-15 minutes until all water is absorbed. 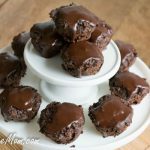 Another dessert Quinoa recipe you might like: Mini Chocolate Brownie Bites! Combine all ingredients into a food processor and process until complete incorporated. Line an 8 quart sized crock pot with parchment paper. Spread batter into crock pot. Cover and cook on low 4 hours or high 2 hours. Lift onto a wire rack to cool before slicing. Make frosting by whisking ingredients together and microwave for 20 seconds. Taste and add more sweetener if needed. Stir well again then top over brownies. 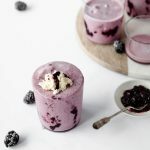 The Sugar-Free Mom Cookbook has been Released!! Hitting shelves in days and Amazon is selling it at a discount right now! What a fun recipe! And a great way to make the brownies a bit lighter, I love it! How do you lift the brownies out of the crock pot without breaking them? Using the parchment paper and having extra hanging over each end. 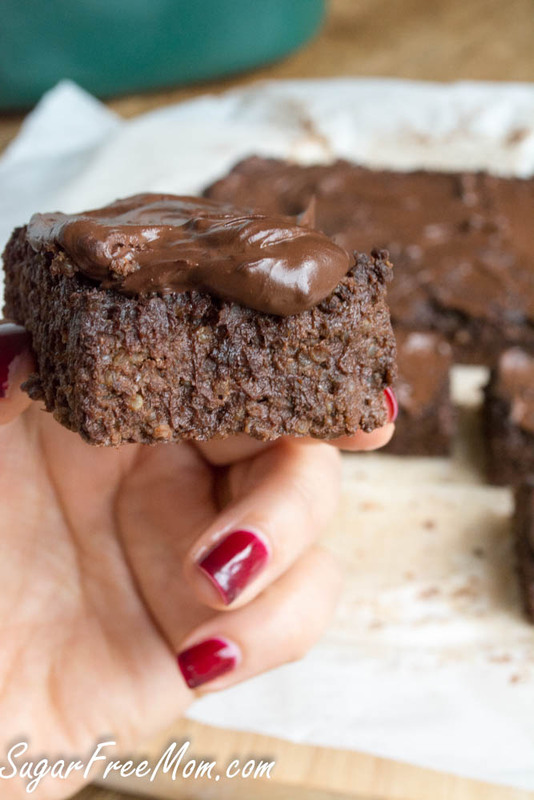 I wonder if I could sneak quinoa past the lips of my hold outs here with these brownies?!? Yum! 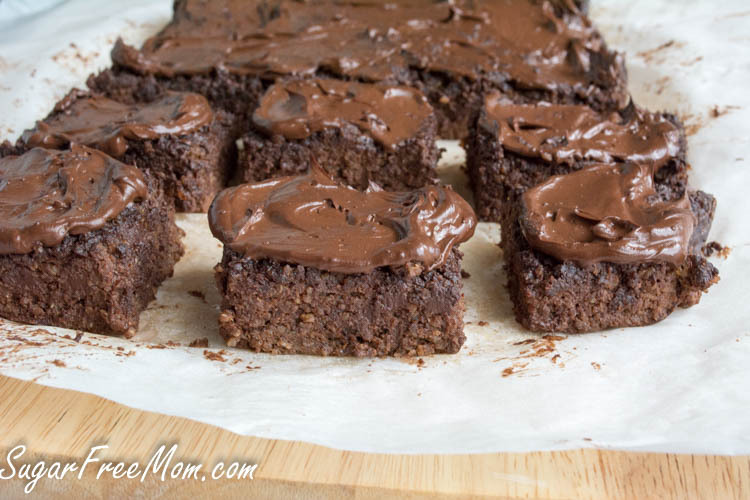 I love the idea of substituting quinoa for flour in brownies! I sometimes use black beans as a substitute sometimes! These sound so good! Okay, I gotta try this. Sounds delicious! 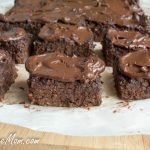 I had no idea that you could make brownies in the crock pot and have them look this amazing! Wow! I had no idea you could make desserts in the crockpot. 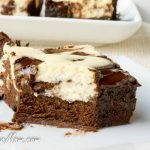 And these look way too indulgent to be healthy! Wait – what?! You made these in a crock pot?! Trying to wrap my head around this…so creative – they look delicious!! 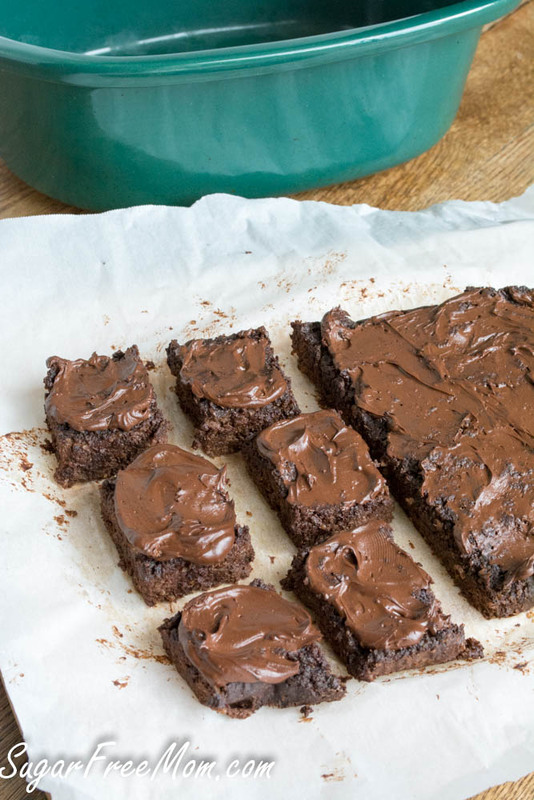 Gah I had no idea you could make brownies in a slow cooker! 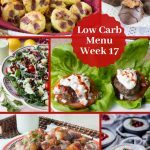 Love your dessert recipes! I’m trying to cut back on sugar so this is perfect! What size crock pot did you use? I have one of the standard round ones, not one of those large ovals. Do you think it would still work? Also, what would recommend if you wanted to bake them in the oven? I’m out of town right now, but I believe it’s a 6 quart oval, but I think a round would still work. I’ve not tried it in the oven but if I were to guess I’d said they would need at least 40 minutes if not more until center is clean on a toothpick. At what temp. would you cook this in the oven? I have all the ingredients but no parchment paper. I’m not sure foil or wax p paper would work and they will be impossible to get out without anything. 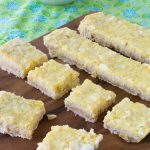 I made these and they were phenomenal! I’ve been on a gluten/dairy/sugar-free diet for a couple months now due to candida and now that I am coming out of the woods decided to make these. I love chocolate so I loved them. However, I’ve just wrapped them in tin foil and left them out and been eating a little each day. Since it’s quinoa, should it be refrigerated? I do think they should be kept refrigerated. Happy you liked them! do you have to whip the heavy whipping cream with the cocoa powder or just whisk together and microcwave? Plus it’s sugar-free? —> OMG I can’t ask for more! OMg where have you been all my life,i have such a horrible problem with sugar,no,not diabetic ,other issues like addiction,mood swings,depression,one sweet sugarery treat can send me on a sugar bender,then i end up with zits,depression,feelings of self=loathing.if i can have a sugar free treat without going over board and eating the whole thing,I’m in! I can’t wait to go shopping all i need is the sugar-free choc chips,i have everything else.